In the last few months, the International Movement for a Just World (JUST) like so many other civil society groups in various parts of the world has been inundated with videos and articles from different sources alleging cruel persecution and harsh oppression of the Uighur Muslim minority in Xinjiang province in the Western part of China. It is alleged that the Chinese government views the Uighur and also some other Muslim groups such as the Kazakhs and Kyrgyzas as threats to national security given their purported links to terrorism and separatist insurgency. Even a UN human rights panel had issued a report in August 2018 that stated that in order to wean them away from terrorism “as many as 2 million people may have been forced into a vast network of detention camps” in Xinjiang. 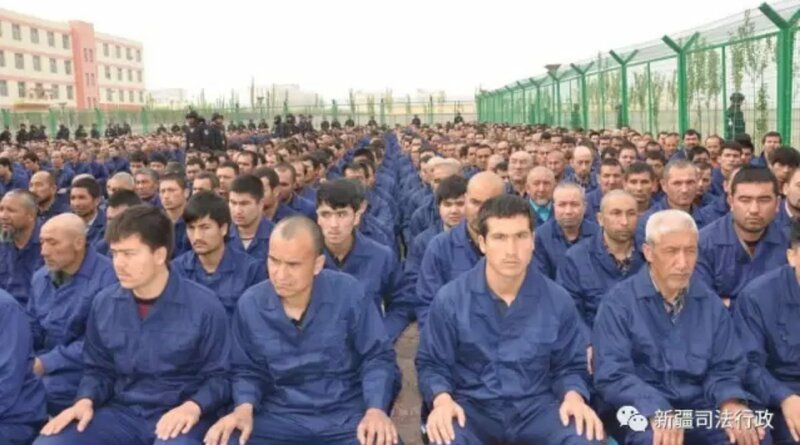 In these camps, according to dissident Uighurs, there is a systematic effort to brainwash the detainees. The propaganda is not just about immunising them against militancy or separatist ideologies. The Chinese authorities have denied vehemently these allegations. They reject any suggestion that there has been forced renunciation of Islam in the camps. They admit though that there are re-education centres but focused entirely on combating terrorism, religious extremism and separatism. These denials have not convinced the critics especially those from civil society in the West and the East. They persist with their allegations and are disappointed that governments as a whole have chosen to keep quiet about the atrocities supposedly committed by the Chinese authorities. They attribute their silence to the governments’ fear that China with its huge economic clout will make things difficult for countries that have become dependent upon Chinese investments and trade for their own economic well-being. At the same time it is equally true that China is being attacked much more in the media and by civil society groups today than in the past because of its phenomenal rise as a global power. The forces that dominate the present global system resent this since they are hell-bent on perpetuating their hegemony. This is why they are using the media and civil society to expose flaws and foibles in Chinese governance. How Beijing treats the Uighurs and other minorities is perhaps one of those flaws that is susceptible to manipulation and distortion. And indeed, there has been a great deal of exaggeration and hyperbole in the media about the plight of the Uighurs. This does not mean however that the real challenges confronting the Uighurs and other minorities should be glossed over. To convince everyone that the Chinese government is willing to address genuine Uighur grievances it should invite representatives from civil society in a number of Muslim majority countries to undertake a fact-finding mission to Xinjiang whose primary purpose would be to examine and analyse the actual situation on the ground facing the Uighur and other alleged victims of persecution. The mission should have maximum access to the Uighur community and to the authorities in the province. Members of the mission should have the full freedom to visit the re-education centres and conduct interviews with detainees past and present. The mission’s report should be submitted to not only the authorities in Xinjiang and to the leaders of the Uighur community but also to the government in Beijing. The countries from which the members of the mission are drawn and the world at large should also have full access to its findings.Most of all, one hopes that if the recommendations are feasible, Beijing and Xinjiang will try to implement them with sincere trust.If that is done, it is quite conceivable that the chapter on the Uighurs will be brought to a close. It is in Beijing’s interest to resolve the Uighur issue in such a manner that the identity and dignity of the Uighurs and other minorities in Xinjiang are protected and enhanced. If injustices against Uighurs real or perceived are allowed to fester much longer, it may erode China’s standing among Muslim majority countries. This is especially so since the Hui, Muslims among the majority Han people, it is alleged, are also now being targeted by the authorities. As negative perceptions of the Chinese government’s treatment of the Uighurs and other Muslims grow, there could be repercussions in the medium and long-term for China’s Belt Road Initiative (BRI) since it involves a large number of countries with substantial Muslim populations. China is also heavily dependent upon the import of oil from Muslim countries. There are already civil society groups in a couple of these countries which are unhappy about Beijing’s attitude towards the Uighurs and Muslims in general. They are demanding action against Beijing. Viewed in this context, resolving Uighur challenges immediately may well secure China’s economic position and fortify its global role. *Dr. Chandra Muzaffar is a member of the TRANSCEND Network for Peace, Development and Environment, and president of the International Movement for a Just World (JUST). 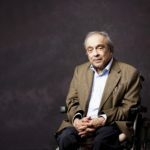 He is the author of the e-book ‘Whither WANA?-Reflections on the Arab Uprisings,’ which is accessible through the JUST website, www.just-international.org.